Fenugreek leaves popularly called methi leaves in Hindi and Vendhaya Keerai in Tamil has amazing health, hair and skin benefits and medicinal uses. If you get to know how to use fenugreek leaves you will start using it often as it is very easy to incorporate it in our diet. Always try to use fresh fenugreek leaves both in cooking and for external applications for best results. Almost all of us use fenugreek seeds regularly but not fenugreek leaves. The number of things you can make with fenugreek leaves are quite long. You can make wonderful healthy dishes with fenugreek leaves and I have given all the best possible ideas to cook with it below. Fenugreek leaves have beauty uses too, it can be used to make hair oil, hair packs and can be used even for skin massage. 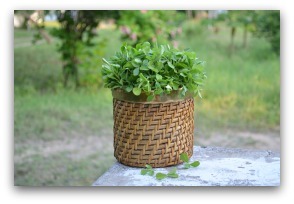 Methi leaves is the Hindi name for fenugreek leaves. We call fenugreek leaves vendhaya keerai in Tamil, Methi Pata in Bengali, Mentikoora in Telugu, Menthaya in Kannada, Uluva ila in Malayalam. The botanical name of fenugreek plant is Trigonella Foenum-Gracum. Dried fenugreek leaves is very famous in India and are called kasoori methi in Hindi. It goes well with all North Indian gravies and iit is usually added at the final stage to gravies, it gives a nice aroma to the dish. Though you can use dried fenugreek leaves, the fresh ones are the best in my opinion as the vitamin C content is less in dried fenugreek leaves. But if you don’t get fresh fenugreek leaves, try using kasoori methi as it is easily available and stores well for months. 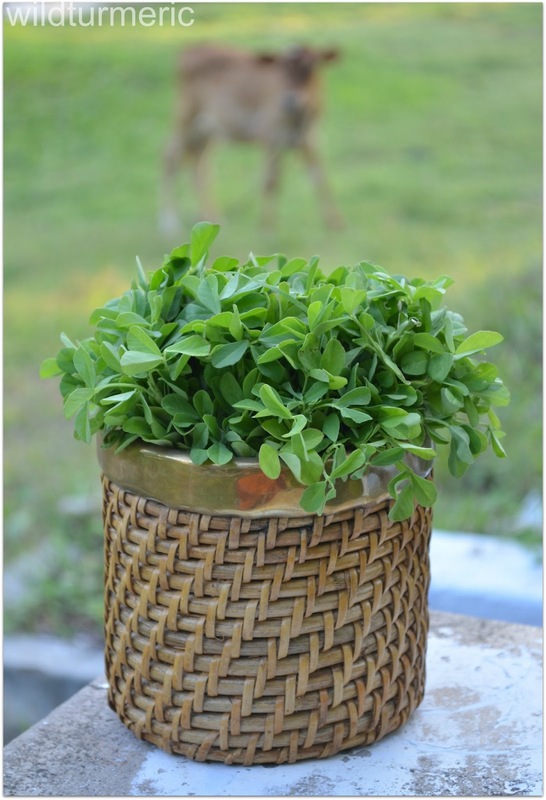 How To Grow Fenugreek Leaves? Fenugreek leaves are also one of the easiest to grow. To grow fenugreek leaves, soak fenugreek seeds overnight. The next day, take a large pot and fill it with potting mix. Now sprinkle the soaked fenugreek seeds in the pot and place it in semi shade, make sure the soil is moist and within 2 weeks you will have fresh fenugreek leaves. 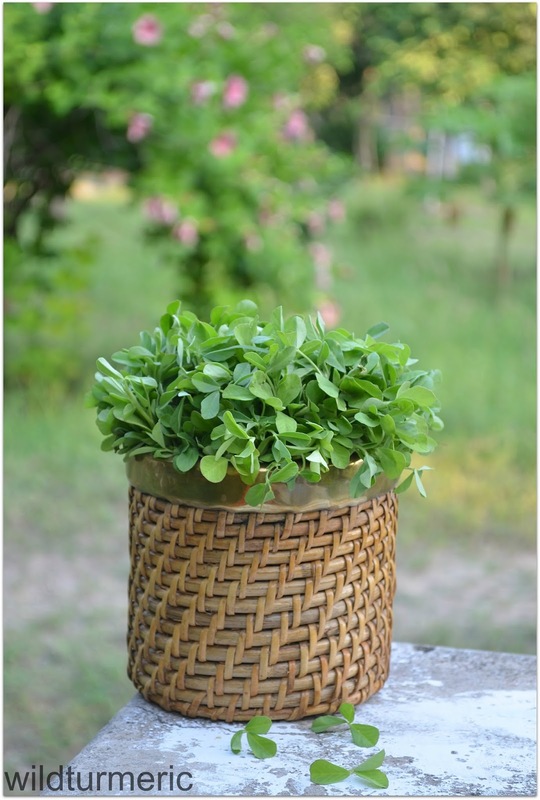 Growing fenugreek leaves at home is a good idea because if we can easily grow our own organic greens at home, I am sure we will use them a lot often. Fenugreek leaves are very nutritious and is especially rich in vitamin C (43 mg per 100 grams), calcium and beta carotene. Fenugreek leaves also contain thiamine, riboflavin, nicotinic acid and folic acid. Since fenugreek leaves are very nutritious, it is a good idea to introduce fenugreek leaves to children from young age. Start introducing fenugreek leaves slowly into the diet of kids else they might hate it and once they say no to some food, it will be hard to get them eat it again. Start by adding few leaves while making roti or soups or in dosais and once they get used to the taste start adding more. It will be a great loss if we don’t use this wonderful greens so please try to include them both in cooking and beauty preparations. Fenugreek leaves improves digestion, lowers cholesterol, improves digestion, purifies blood, stimulates liver and spleen and when applied externally as a poultice heals wounds and boils. Fenugreek leaves have antioxidant, anti ulcer, anti bacterial, anti cancer, blood pressure lowering, hair strengthening, gastro and hepatoprotective, pain reducing and mucus and phlegm reducing properties. How To Buy & Store Fenugreek Leaves? Try to buy fresh organic fenugreek leaves, preferably in the morning when it is bought fresh to the markets. Fenugreek leaves can be stored in the refrigerator for a few days and the best way to store is wrap the whole bundle with a cheese cloth that is dipped in water and wrung to get the water completely out, this way you can keep the leaves fresh for 2 to 3 days in the refrigerator. Start including fenugreek leaves in your children’s diet as early as possible. Fenugreek leaves if not cooked properly will cause indigestion and stomach pain so make sure to cook it properly. Also if we over consume fenugreek leaves, it will cause stomach discomfort. The usage of fenugreek for diabetes is so famous that you will find most of the diabetic patients well aware of the benefits of fenugreek for keeping their blood sugar levels stable. A study done on diabetic rats showed significant reduction in blood sugar levels when they are given fenugreek extract. For diabetic patients a simple dal made with fenugreek leaves will work well. When cooked with dal fenugreek leaves keep us satiated for a long time and is one of the best foods diabetic patients can take. To make the fenugreek leaves dal, first boil 1/4 cup toor dal along with a cup of water, 1/8 tsp of turmeric powder and few drops of castor oil in a cooker for 3 whistles. In a pan heat a tsp of sesame oil and splutter 1/8 tsp of mustard seeds followed by a small piece of asafoetida, a handful of cut shallots, 1 red chilli broken and 2 sprigs of curry leaves. Fry till the shallots are fried completely and add 1/2 cup of chopped fresh fenugreek leaves and fry for few seconds. Add 1/2 cup water, close with a lid and cook till the leaves are almost cooked, now add 1small tomato that is finely chopped, salt and cook till the fenugreek leaves are fully done. Add the boiled dal and let it simmer for 2 to 3 minutes and switch off. 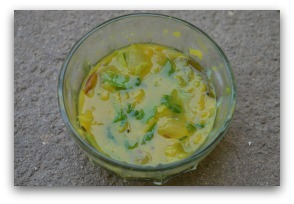 This dal tastes good both with rice and roti. 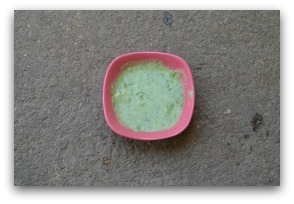 Feeding mothers will greatly benefits from including fenugreek leaves in their diet. Since it is best for breast feeding mothers to include fenugreek leaves often in their diet, try to make fenugreek leaves soup for them. A cup of this fenugreek leaves soup is very filling and very nutritious and can be given to breast feeding mothers often. To make the soup, first pound 1/4 tsp of cumin seeds, 2 pods garlic and 1/ tsp peppercorns coarsely in a mortar and pestle. Heat 1/2 tsp of homemade ghee in a kadai and add the pounded spices to it and fry in low flame. Add 1/4 cup of finely chopped shallots and fry till it turns translucent. Now add 1 cup of chopped fenugreek leaves, fry for few seconds and add boiled toor dhal water (water that is strained after boiling toor dhal with turmeric powder and a bit of castor oil) till the whole mixture is immersed in it. Close with a lid and cook till the fenugreek leaves are fully cooked, don’t forget to add salt. Switch off, take a immersion blender and puree the whole soup to the required consistency. You can also add 1/2 a tomato to the mixture while frying….. If you are in a calorie restricted diet, the best bet is to look for dishes that are low in calories, full of nutrients and keep us satiated for a long time. Fenugreek leaves does exactly that, it is very filling, very nutritious and keep us satiated for a very long time. One of the best ways to consume fenugreek leaves is to make roti with it. We make methi roti often at home and is one of the easiest recipes that you can make with fenugreek leaves. To make the methi roti, mix 1 cup flour, 1/8 tsp cumin seeds, 1/8 tsp red chilli powder, 1/8 tsp turmeric powder, 1/4 tsp gram masala powder, salt and mix well. Now add 1 onion, 1 cup of fenugreek leaves and 1 green chilli that are very finely chopped and mix well, now add required amount of water to make a smooth dough. Rest for 10 minutes and make rotis out of this dough. Cook on both sides using very minimal oil, a wonderful healthy nutritious meal that will keep us full for at least 3 to 4 hours is ready! Usually you don’t need any side dish with this roti and can be had as such…..
Fenugreek leaves are good for external application too. The juice of fresh fenugreek leaves combined with pure honey can be applied on the skin to get rid of black spots and blemishes. To collect the fenugreek leaves juice, wash the fenugreek leaves in water well and add little boiled water to it and grind to a smooth paste in a blender. Squeeze the paste to extract the juice, strain the juice to get a smooth mixture and add few drops of honey. For a tbsp of juice add around a tsp of honey, mix well and massage this mixture in the skin and leave it to dry on the skin. This mixture also can be safely used on acne prone skin too. You can also mix fenugreek leaves juice with rice flour and use it as a scrub to get rid of black heads on the face. Fenugreek leaves can be used for making hair oil just like henna oil, use the same recipe but substitute the henna leaves with fenugreek leaves. This oil will condition the hair, cool the body well and is ideal for using it during hot summer months. You can also use fenugreek leaves and yogurt for making a hair mask. This mask will treat dandruff, prevent scalp itching and strengthen the hair roots. To make the mask, grind fresh fenugreek leaves with homemade yogurt to get a thick paste and use it as a hair mask. To use, apply all over the scalp, wait for it to dry completely and then have hair wash with a mild shampoo followed by a conditioner. You will find your hair super smooth and glossy after using the pack. Good to know lots of benefits I will try for hair though. The youth following western lifestyle are wearing glasses as tiny children. How to create good vision so there is no need for glasses, contact lenses etc.? How to correct it to do away with these if already worn…To cure it on its own? Please do a future post no need to respond right away. That is a good idea and I will try my best…. Hello,When you mention mild shampoos, can you list out a few good ones available in India. I will in New Delhi… This information would be of great help to me. Dear Ramya I am your big fan.I was suffering from severe sinusitis. Please suggest me how to cure it by home remedies. In my personal experience, nochi steam is the best home remedy for sinus infection. We use it regularly with amazing results, you can read about nochi in the blog…. Are black spots and blemishes on face the same as sunspots, the ones which appear on the face with age? Hi can you guide me about natural DHT blocker? 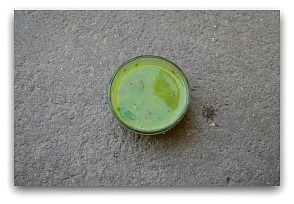 Can we use methi stem along with leaves in order to extract the juice? 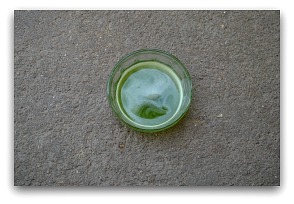 Can we use methi stem along with leaves in order to extract the juice? ?